Apricot size, round. Yellow, blushed melon-red, speckled skin. Golden yellow, juicy, plum-like flesh with aromatic touch of apricot flavor. A Luther Burbank introduction. 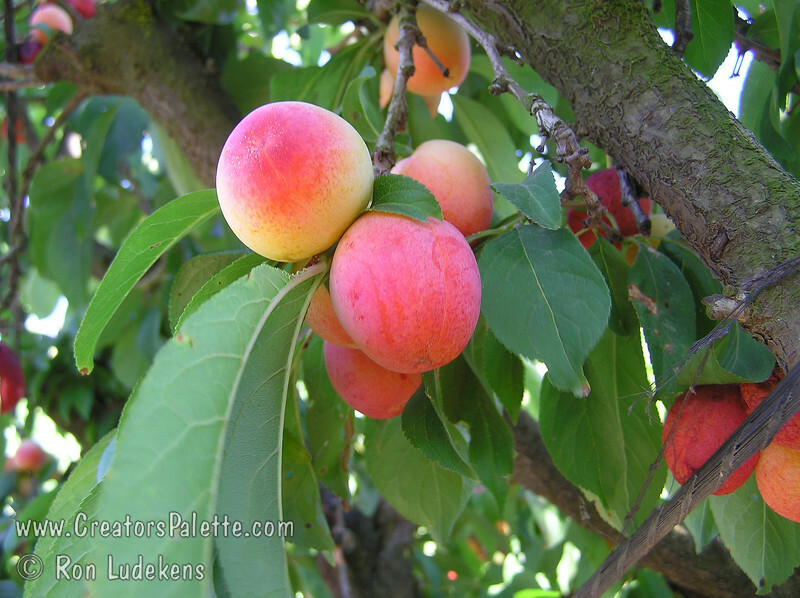 A cross between a plum and apricot. Tree form and fruit appearance flavors plum parent. Highly productive. Thin for larger sizes. Requires 300 hours chilling below 45º F. Ripens: Early June. Cold hardy to U.S.D.A. Zone 7.